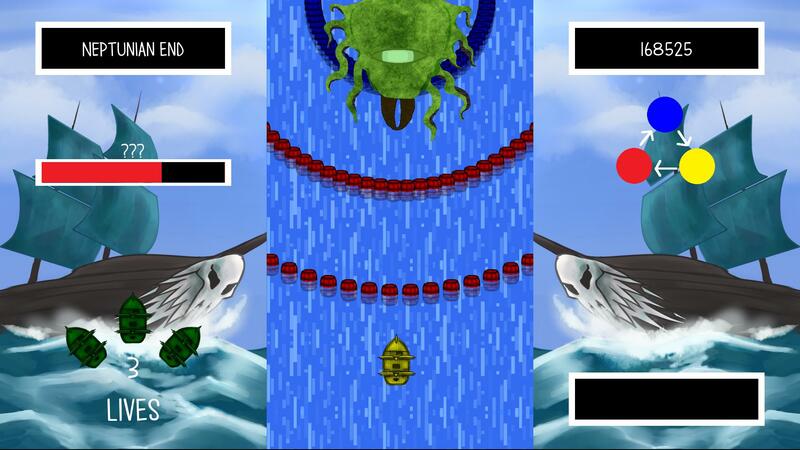 Can you handle the 3 Bosses in this Oceanic Adventure? 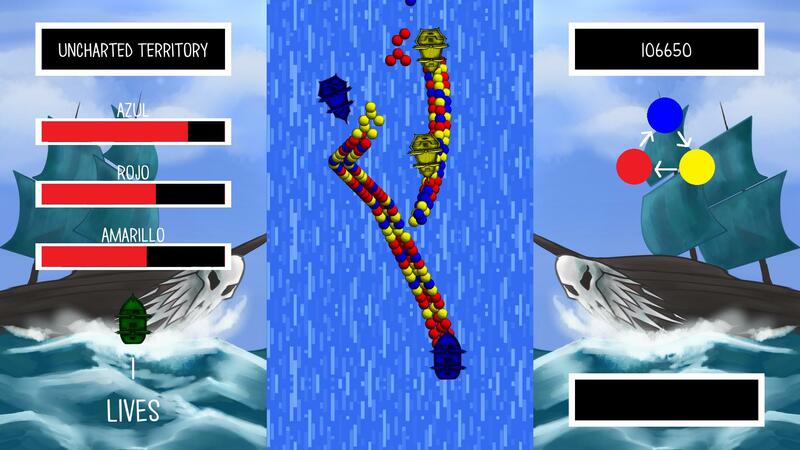 Switch to the same color as enemy or enemy projectiles to add to your special meter. It is important to get down the color control and knowing which colors beat what, if you can master that, you can master the seas. Make sure to use your special! It is very important in the game, especially for the bosses. I really appreciate the integration of the special. I wish I had known about it sooner since it makes such a huge difference. Write it in your description! I think because you have a tutorial--which is a great choice by the way-- I thought I had learned everything. I didn't know about the special (or about immunity from same-colored shots) until playing around during the second boss. Only then was I soaking hits instead of dodging everything which completely changes the dynamic of the game. I also really appreciate you giving the enemies a similar ability as an extra incentive for players to change colors often. It definitely helped change my game play habits. Great job! I don't know if I missed something but that boss seemed like it had a lot of hit points! Yeah they do, use your special! It isn't discussed in the tutorial, but when your special meter on the bottom right is full press shift! The bosses are dependant on it. Partake in a journey like no other, as a pirate seeking out to earn his true colors. Battling barrels, foes, and monsters alike.